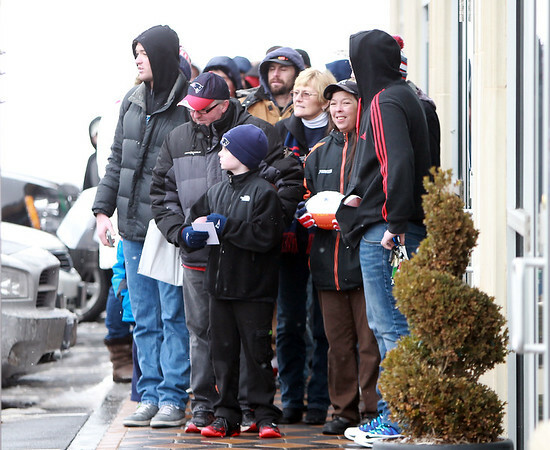 A line of Patriots fans stood outside in the cold and through snow flurries to get the autographs of Super Bowl Champions Jonas Gray and Joe Vellano at Sportsworld on Route 1 in Peabody on Saturday afternoon. DAVID LE/Staff photo. 2/7/15.